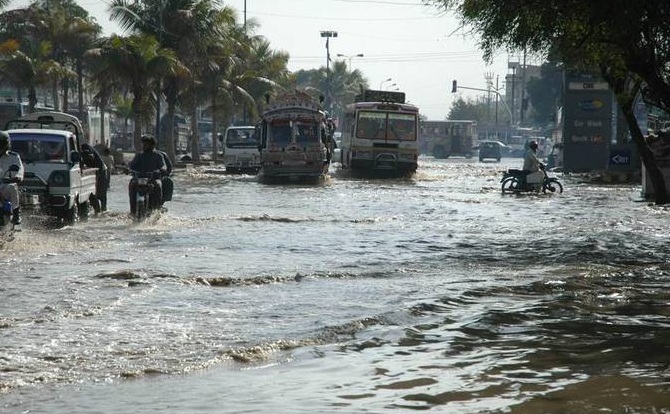 Although the month of March is a relatively quiet month in Karachi weather wise but there have been few exceptional events in its History when people of Karachi saw extreme weather in this month also. 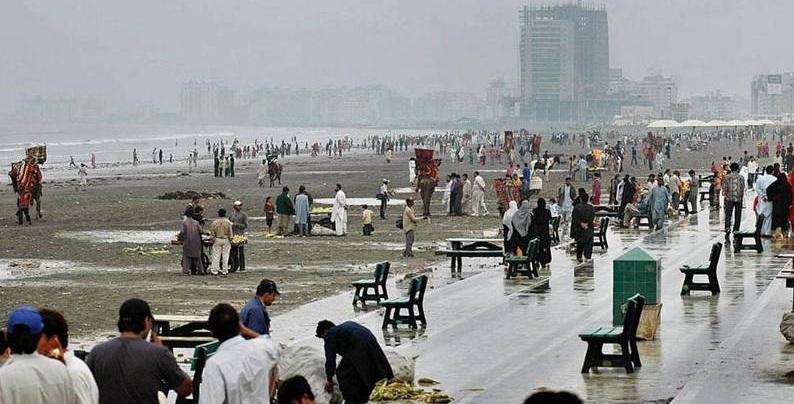 HOTTEST MARCH: In 2004 it was the “Hottest month of March in Karachi” when there were 17 hot days out of 31 days (Highest number of ‘Hot Days’ in month of March when maximum temperature was 36°C or above). CLOUDIEST MARCH: In 1997 there were almost ‘21 days with clouds’ out of 31 days – Highest number of cloudy days in any ‘March’ i.e. partly to mostly cloudy. 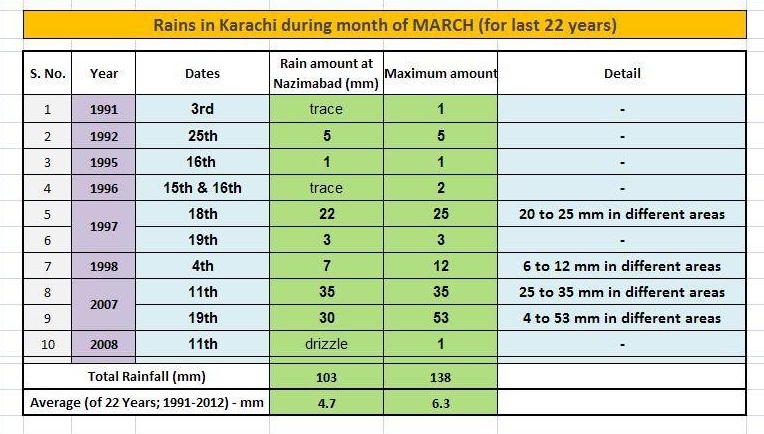 As historically we know that ‘MARCH’ is a fairly dry month for most of Sindh including Karachi however there have been number of years when city received light to moderate and sometimes even heavy rains also. Given is a look at the major precipitation events in the city during the month of March for last 22 years. 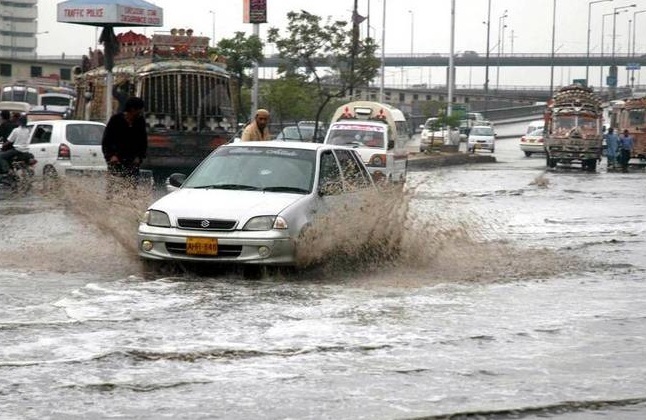 ← Explosive rain with hail lands in Karachi!